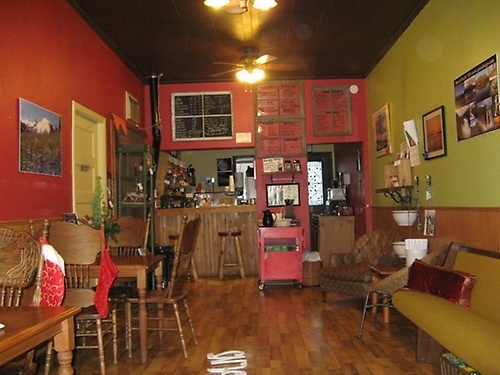 Located two minutes from Snoqualmie Falls, and just across from Snoqualmie's Northwest Railway Museum, The Bindlestick Coffeehouse and Bar has been a colorful local hangout since 2009. 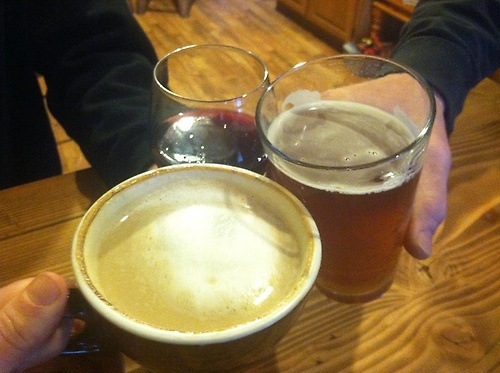 We proudly serve Caffe Vita's organic espresso, a selection of beer, wine, pastries, Panini's, and much more. 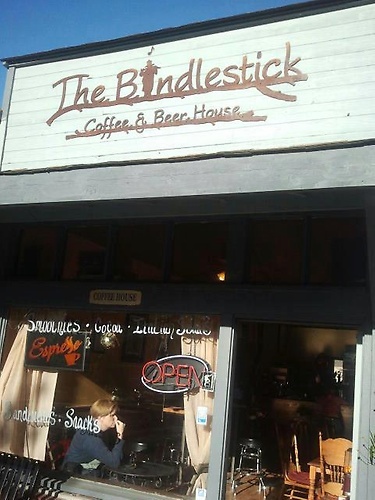 In effort to build the Bindlestick into the kind of place that fosters creativity, generates artistic expression, and builds community, owner Rachelle encourages local art. She allows local artists to display their work, and sell it, free of commission. On the walls, you will find painted hats, knitted hats, photography, wood carvings, paintings, and other interesting bits of self-expression. On weekends, the Bindlestick becomes a popular venue for live music, fire-spinners, impromptu grill outs, and other fun events. Local musicians line up to play our enormous beer garden, and all ages are encouraged to rock the night away under the stars. Whether you are looking to socialize over a few beers, relax around the outdoor fire-pit, or just gather round the bar and engage in some absorbing talk with both new and old friends, the Bindlestick has a warm and comfortable atmosphere, friendly staff, interesting locals, and a welcoming, small-town feel. To check out our changing beer menu or live music event schedule you can view it online, or hop on facebook for instant updates!